The hosts had put on board a challenging 205 for eight but riding on MS Dhoni's power-packed 34-ball 70, Super Kings overhauled the formidable target with two balls to spare. 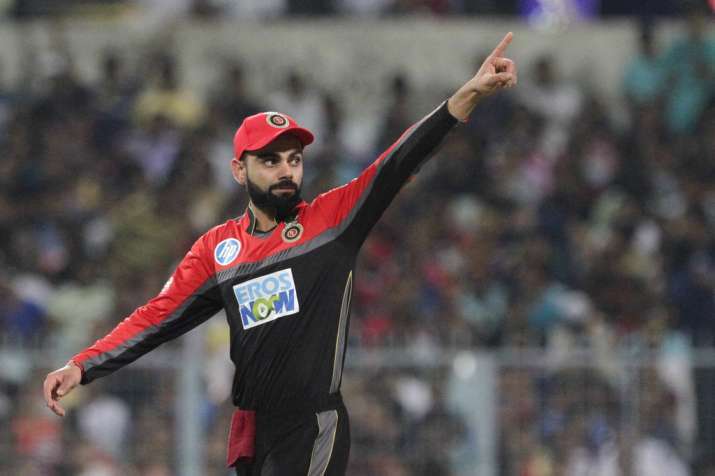 Royal Challengers Bangalore captain Virat Kohli has been fined Rs 12 lakh for maintaining slow over-rate during their Indian Premier League (IPL) against Chennai Super Kings at the M Chinnaswamy stadium on Wednesday night. "As it was his team's first offence of the season under the IPL's Code of Conduct relating to minimum over-rate offences, Mr. Kohli was fined Rs 12 lakh," an IPL press release said. RCB suffered yet another loss in a thriller match against the Chennai Super Kings after MS Dhoni guided the visitors to an emphatic win at the M Chinnaswamy stadium, winning by 5 wickets. MS Dhoni's 70* and Ambati Rayudu's 82 helped Chennai clinch a win when RCB at one time had the game in hand after dismissing the major batsman from the CSK squad.